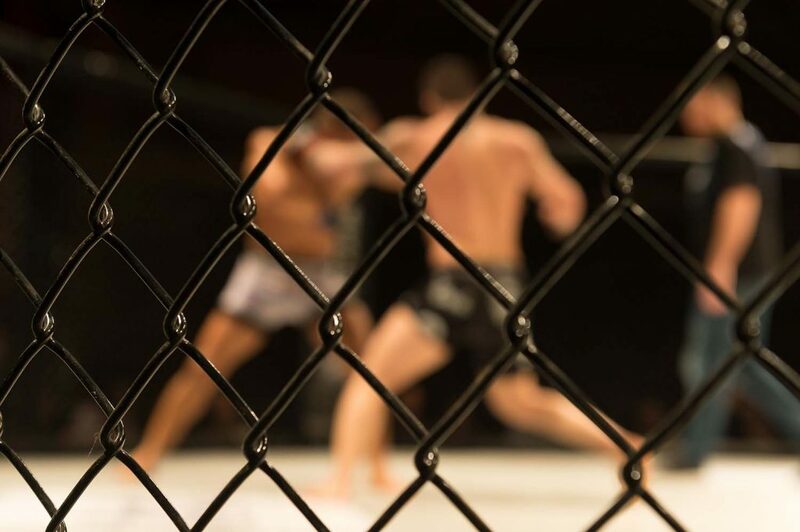 Few sports satisfy our competitive desire and primitive need like the UFC. 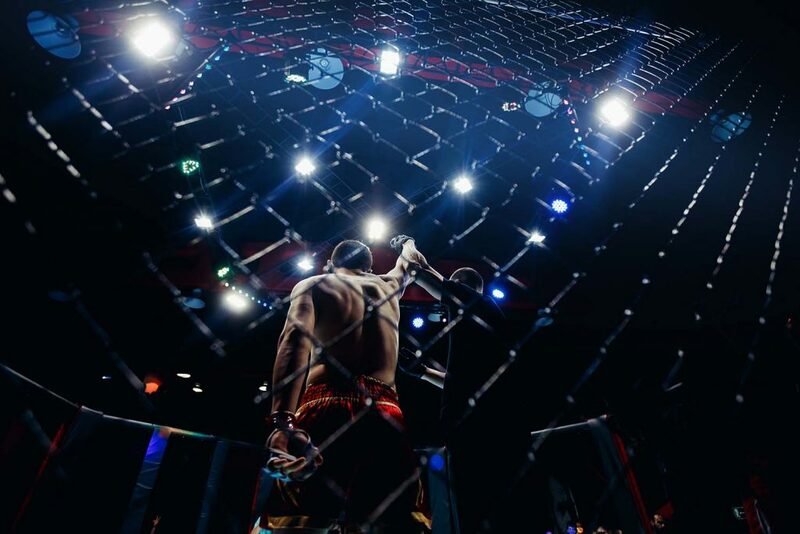 The sounds of combat athletes with the roar of the crowd fueling them on is unique and exhilarating. Many people dream of attending a live UFC event in Las Vegas. The fights bring in a lot of people from all over the country and the strip and downtown Las Vegas become flooded with passionate UFC fans. If you can’t watch a fight live, going to a UFC viewing party is the next best UFC Experience available. Where to watch UFC in Las Vegas? UFC viewing parties wrap up all that Las Vegas has to offer into one event. You’ll get the best seat in the house with a clear view of the fight on multiple screens. You’ll be surrounded by other passionate and excited UFC fans enjoying drink and food special all night. Admission to our UFC viewing party is free with a $15 minimum spend per person. Our watch party takes place at the Plaza’s Brightside Breakfast & Burgers. This means you can catch all the UFC action while chowing down on a juicy burger and a variety of beers. You have the option of beer bucket specials with five domestic beers for just $20 or five imported beers for $25 at our free UFC viewing parties. Brightside Breakfast & Burgers has meals for every type of eater. The menu includes favorites like steaks, chicken, pasta, and other classic meals. As well as breakfast platters, sandwiches, fries, salads, and deli favorites to please anyone. Last year’s event for UFC 214 was epic with Daniel Cormier taking the win. You won’t want to miss out on UFC 237 on May 11th to see Jessica Andrade challenge Rose Namajunas for the Women’s Strawweight Title. You can book a room at The Plaza Hotel & Casino and party it up knowing a safe place to relax is only a few short steps away. The Plaza is in the heart of the Fremont Street Experience and walking distance from downtown bars, attractions, and events so you can turn fight night into a fun night on the town. Valentine’s Day is the one day a year we genuinely get to celebrate love and enjoy time with that special someone, even if that special someone is yourself! If you’re trying to impress someone, the best way to make a good impression is to wine and dine them with a delicious meal. There’s no shortage of excellent restaurants in Las Vegas, and you can find cuisine from all around the world, but when it comes to a romantic dinner for two nothing beats the iconic Oscar’s Steakhouse at the Plaza Hotel & Casino.Located in the Plaza, Oscar’s Steakhouse overlooks Fremont Street with astounding views of the lights in downtown Vegas. The steakhouse is known for perfectly aged steaks that are cooked over a 600-degree grill. 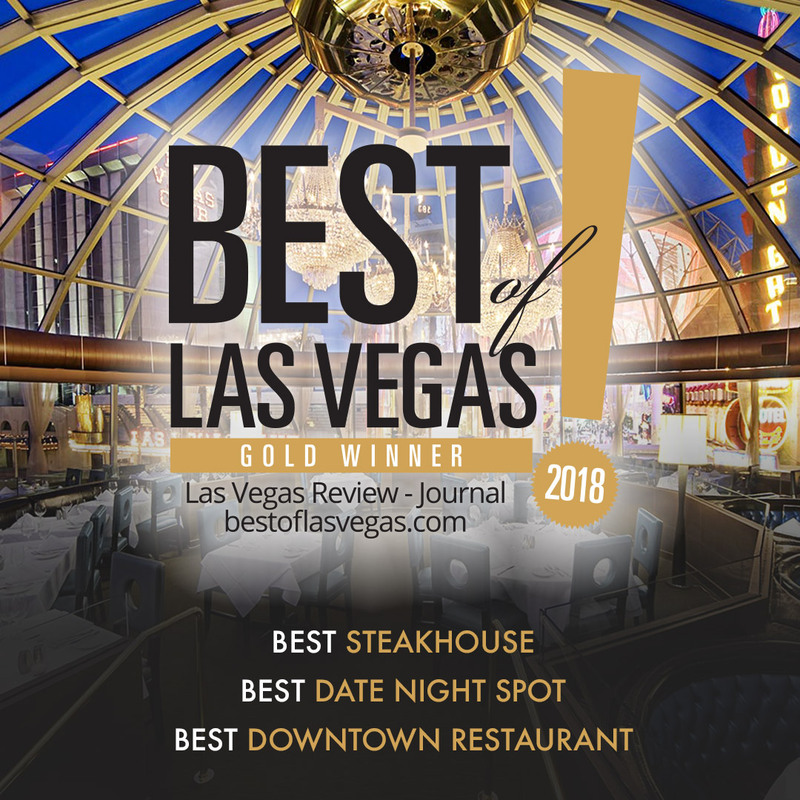 Entrees and appetizers are all inspired by family recipes so you’ll feel like you’re eating a delicious home-cooked meal in an elegant setting.Also, did we mention Oscar’s Steakhouse was voted Best of Las Vegas? On Valentine’s Day, Oscar’s Steakhouse offers a special three-course menu which includes something for everyone and comes with an optional wine pairing for each course. The meal starts with your choice of a beet salad or tuna tartare, which can be paired with a glass of Nuschese or Pinot Grigio. 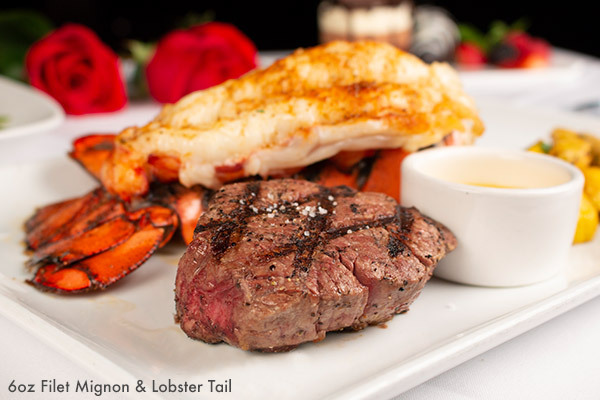 For the second course, you can choose between pan-seared scallops or 6oz filet mignon and lobster tail. The pan-seared scallops are prepared with cauliflower and black truffle risotto, while the 6oz filet mignon and lobster tail is served with potato puree and haricot verts. To finish off the meal with a romantic touch, Oscar’s is serving a mouthwatering trio of chocolate mousse with a chocolate covered strawberry is served with Moscato.View Valentine’s MenuThis three-course meal is $70 per person or $103 per person including food and wine.Oscar’s is Vegas’ favorite spot for Valentine’s Day, so it is highly recommended to make reservations by calling 702-386-7227 or make your Valentine’s Day Reservation online. We hope your Valentine’s Day is filled with love and delicious food!